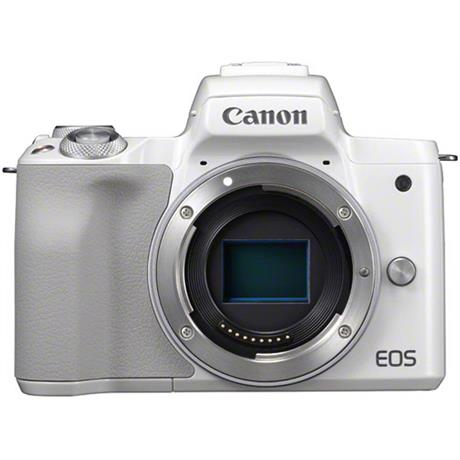 The Canon EOS M50 is an interchangeable lens camera offering high-end features and DSLR-style control in a portable and sophisticated package. The M50 is built around a 24.1-megapixel APS-C sensor with Dual Pixel CMOS AF and a powerful DIGIC 8 processor, which allows for beautiful stills and cinematic 4K video with 5-axis image stabilisation. There is also Wi-Fi and Bluetooth connectivity.